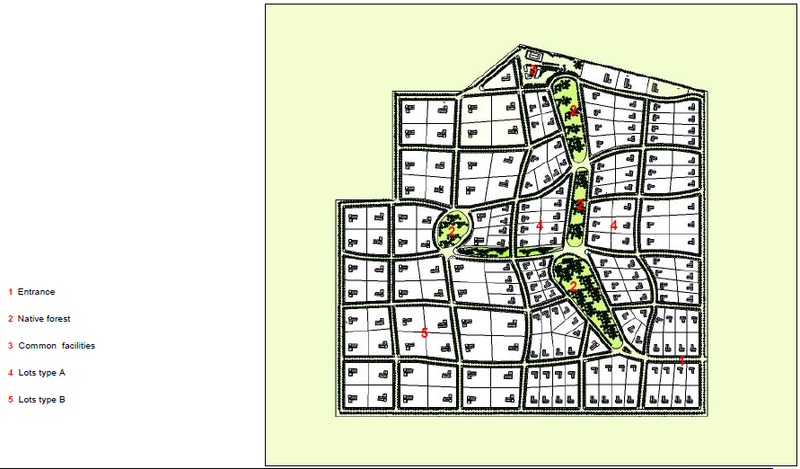 Create a new settlement maintaining the rural character of the area. Create a sustainable new community. Maintain the rural character of the area to provide for wildlife habitat. Minimize environmental impact of new structures. 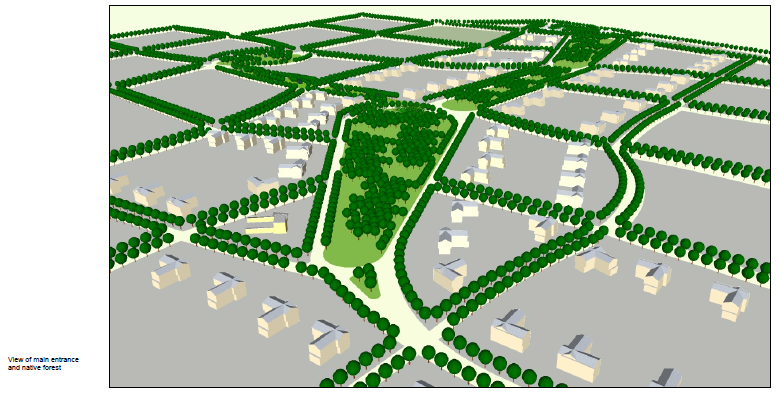 Incorporate existing trees and native forests into defined opens spaces, pedestrian connections and a central space. 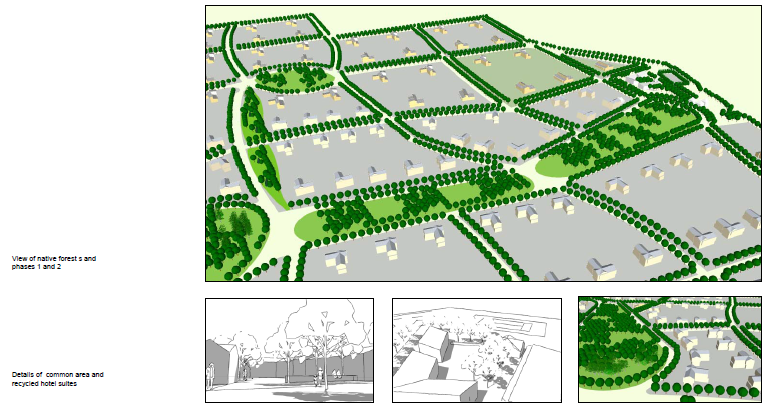 Manage building form, design and scale through rules, standards and guidelines achieve a built environment where rural/open space character dominates. 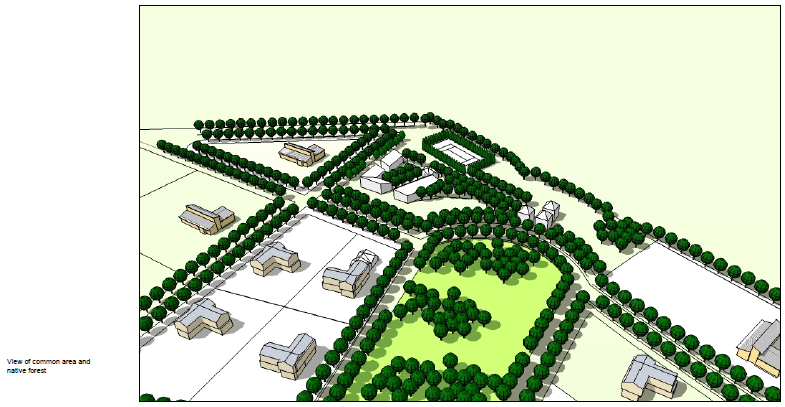 Develop design codes to ensure new development exhibits a “rural village” character. Install underground utilities in order to minimize their visual effect. Include drought tolerant species to reduce the need for watering. Create a central open space connected to smaller open spaces in order to provide a unique rural experience. Incorporate roads with reduced travel lanes to encourage reduced vehicle speeds. 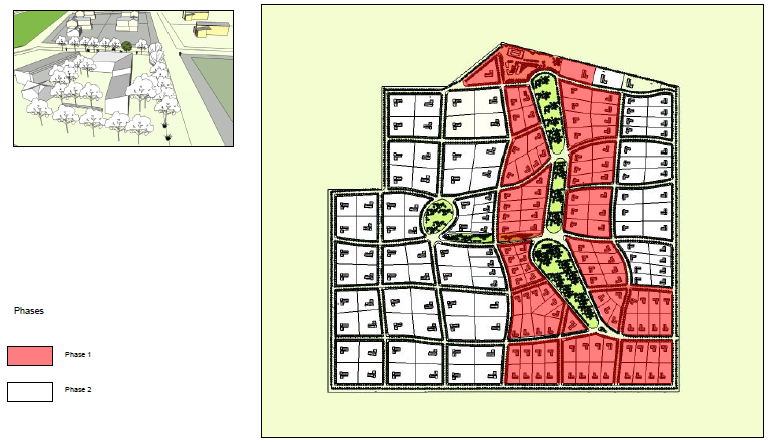 Design edge conditions so that they provide a clear visual relationship between specific streets and site areas. Consider visual and acoustic privacy and address issues relating to flexibility of design, building lifecycle adaptability in a design manual. Establish control materials to ensure that new buildings are constructed from a range of materials that reflect the rural character of the area. Require generous minimum rear, front and side setbacks. 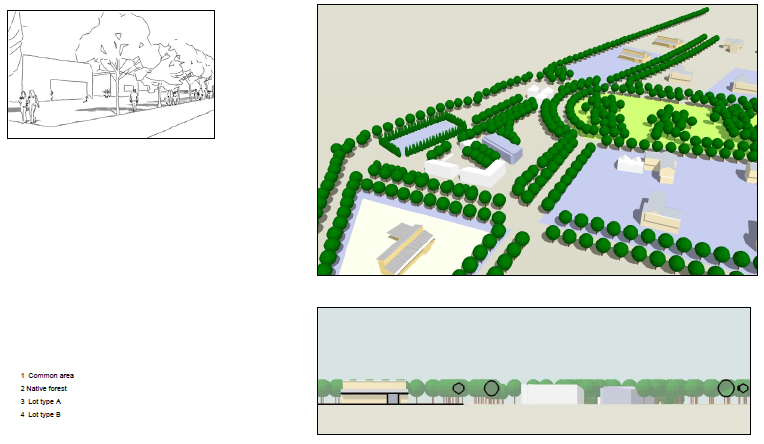 Require significant tree and other planting along front yards, within front/rear yards and between buildings to match the rural character of the original site and to provide a habitat for wildlife. Restrict solid front yard fences. 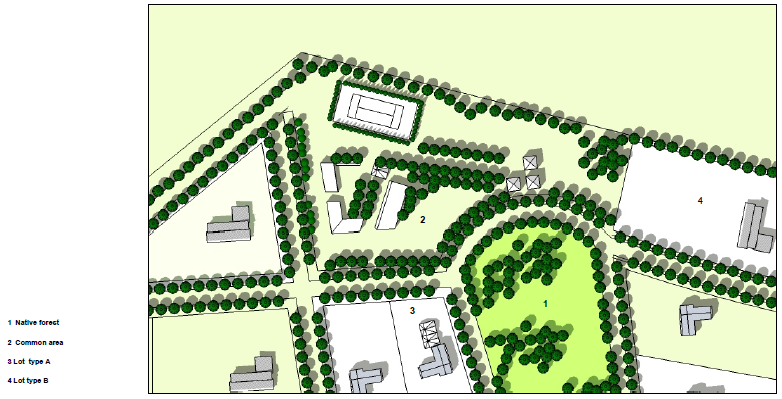 Layout lots and design buildings to minimize earthworks. Shallow plan form for dwellings to maximize solar penetration and careful consideration of location of rooms to minimize energy use by dwellers. Design building to have a high thermal mass and to incorporate very high standards of insulation to retain heat in winter and remain cool in summer. Integrate solar water heating devices into the building design. Consider green roofs to reduce the volume and rate of runoff. Manage stormwater runoff using on site controls. Reuse soils wherever possible to preserve non-renewable natural resources. Reduce impervious surfaces using permeable pavements and pavers, and structural soils.